William Crookes (1832-1919). 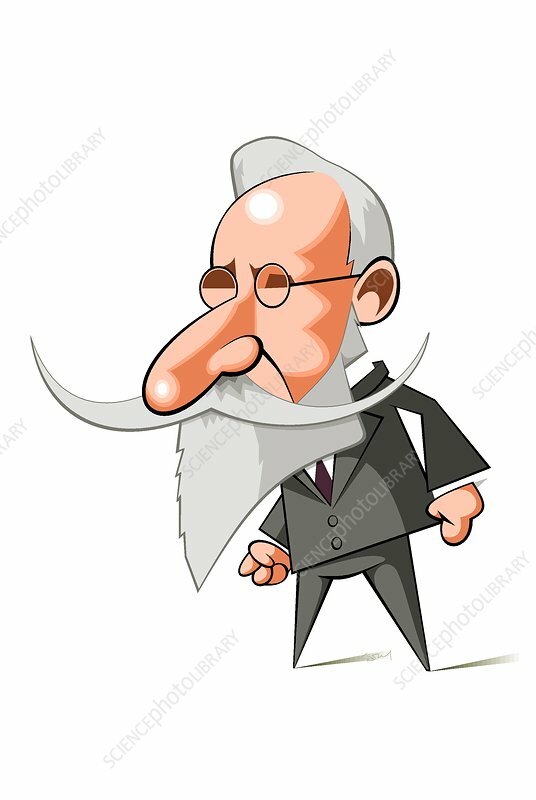 Caricature of the British physicist and chemist Sir William Crookes. Crookes used vacuum tubes to investigate cathode rays, inventing his own vacuum tube, the Crookes tube. He discovered that the rays (which were made of electrons) made the sides of the glass tube fluoresce. He also showed that they travelled in straight lines and could be deflected by a magnetic field. Crookes also discovered the element thallium. Elected Fellow of the Royal Society in 1863, he was President of the Institution of Electrical Engineers in 1891. He was knighted in 1897.